It has been quite a while since my last post on Korea. Every time I planned for a trip, I will be sure to include some places or dishes to try in the country that I am visiting. I always wanted to visit Korea as I love the K-Wave and the K-Culture. It seems hard to find someone to go with. My friends suggested that I should go on a solo trip, as you know, #YOLO! While looking through the beautiful photos of Korea, many will notice the sumptuous Korean meals with all the meat and seafood glory. As I am typing this, I am already thinking of what I should have for my first trip to Korea. Besides Seoul where most of the K-Wave artists are at, one of the places that I would love to visit is Gangwon. Here I found three native food to the region! Of course there are more, but here are the ones that I really wanted to try badly and recommended for your tastebuds. Many people knows about the Dak-Galbi. I was searching for the origins of this dish and ChunCheon in Gangwon-do is where it originates. Although the name Dak (Chicken) Galbi (Ribs), it is not chicken ribs. It is grilled seasoned chicken meat with a variety of greens and vegetables. At first, when I saw the name of the dish, I wanted to make a joke. "Simi" is the Hokkien word for "what" but that has nothing got to do with the dish at all! 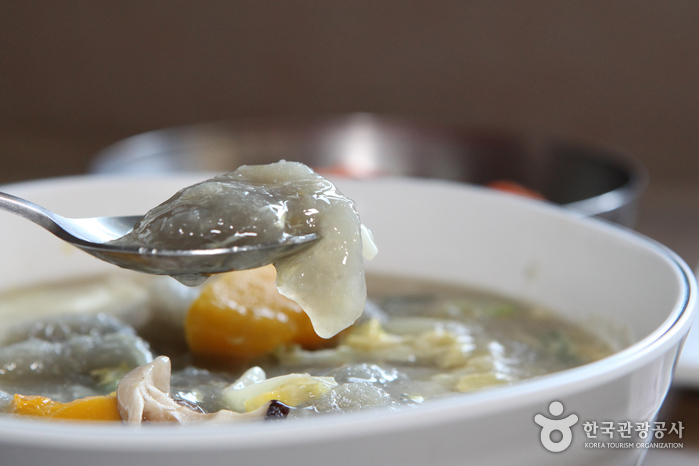 In Gangwon, Gamja refers to a soupy dish made from potatos. Omg Potatos, my love! The potatos are washed and drained of water to make potato balls. As it resembles the round shape of birds' egg (Ongsimi), that is how it got the interesting name. Those who have watched Goblin should know about the Buckwheat flowers. 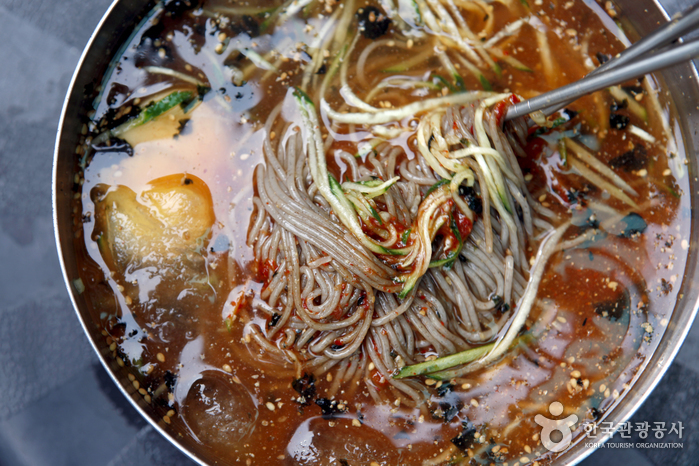 The buckwheat is also used to make a popular noodle dish in Korea known as Buckwheat noodles of memil-guksu. 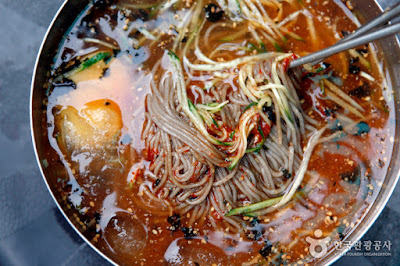 The makguksu is the spicy version with vegetables, kimchi, meat and mixed in with red chili paste. So there you have it. 3 dishes which I wanted to try in Gangwon, Korea. So I wish I could try them on my trip to Korea. 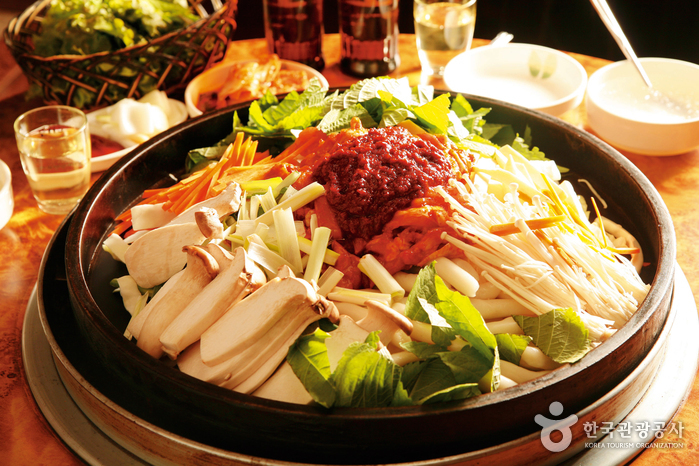 For those who have been to Gangwon, what are the dishes you will recommend? Comment below!